Garden Sparkle Blog: The BEST Father's Day gift ever!!! Father's Day is nearly here! We are very excited to share with you the release of our very special limited edition Father's Day Garden Kit. 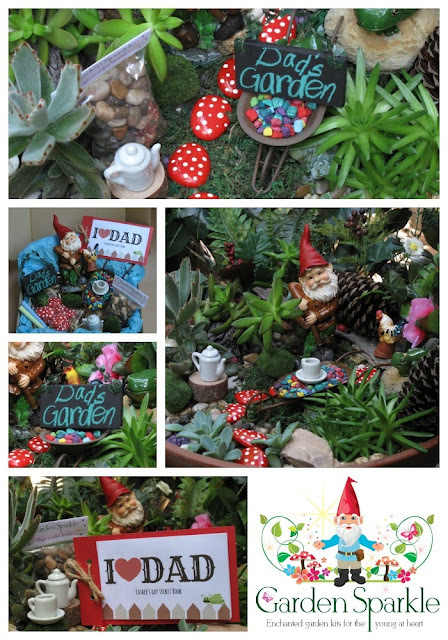 Our team of Jolly Gnomes insisted that they be the stars of this show sooooo drum roll.....introducing the 'Pappa Gnome Garden Kit'. The best Father's Day gift ever! But only six of this kit have been released so get in quick! This kit is suitable for dads of all ages!